Kajol will be next be seen in Helicopter Eela, in which she plays mother to a college-going child. The film is slated to release October 12. Kajol says being a parent is a hands-on job. Actor Kajol said Sunday while she is strict with her children, husband Ajay Devgn is the one who spoils them. The actor said though they play the ‘good cop-bad cop’ routine in real life, Ajay has realised the importance of setting their kids – daughter Nysa and son Yug – straight. “I’m a Hitler mother… I’m a bad cop, Ajay’s a good cop… But the percentage of the good cop has dropped in him. He has realised that it is necessary to be a bad cop sometimes. That he can’t always look at the mother to say ‘no’. I’m 30 per cent bad cop, 70 per cent good cop,” Kajol said during an event in Delhi. The actor said parenting does not come with a manual and no amount of training can help a person. 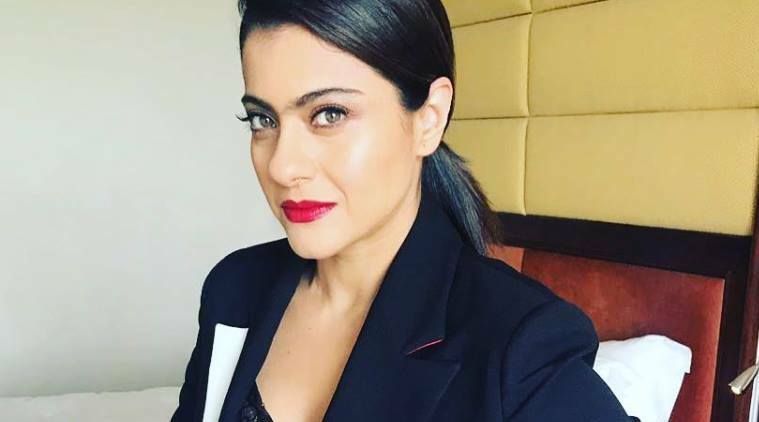 Kajol said TV and films have established an image of ideal mother, which many first-timers try to achieve. The actor said social media has changed everything and one cannot protect their children from its impact. Kajol said her children never stopped her to go to work. “Maybe in childhood, they asked ‘Why you have to go away?’ But today when my daughter says ‘I’m so proud of you’, I cannot be more proud of myself for having earned that recognition. The actor said she has never compared her kids with other children and encouraged them to do better. On the absence of #MeToo in Bollywood, the actor said she would like not just the film industry but all avenues to adopt the movement. “It’s something that needs to be adopted in every industry. It’s not the problem of one industry. It’s just that Bollywood is in the spotlight that it is expected to speak up. But what happens after you stand up and say that (you faced sexual harassment)? We also need a backup mechanism.